For some citizens, a visa must be obtained prior to arrival in Korea. We are also committed to assisting our international participants on the application process for a travel visa. If you require a visa to visit Korea, please check with your local embassy of the republic of Korea or consulate to obtain the necessary documents. In addition, please allow enough time to process your visa. Please visit https://www.visa.go.kr/openPage.do?MENU_ID=10101 for further information on the visa process. 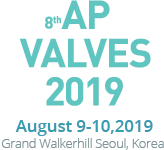 On request, the CVRF is pleased to send an invitation for the participation in AP VALVES 2019. As the document required for the visa approval varies according to the Embassy of the Republic of Korea in each country, you are strongly recommended to check the visa process with your local embassy in advance, and contact us (cvrf@summitmd.com) to request the invitation letter. The invitation letters are sent to only those who are registered to attend the AP VALVES 2019. Also, we would like to inform you that such an invitation is not a commitment on the part of the CardioVascular Research Foundation to provide any financial support, nor is it a guarantee of the acceptance of an abstract, nor a guarantee that the consulate will issue the visa. Copyright © 2002 CVRF, Seoul, Korea. All rights reserved.